Kovilakam Residency is an amazing piece of property located in Thrissur which is famous due to its close proximity to a number of important landmarks. The hotel is located on the Kodungallur Shornur Road in Peringavu in Thrissur of Kerala. The hotel provides some well-furnished rooms that can be booked within pocket-friendly prices. The rooms are spacious, and a number of wooden elements have been used in the interior decor of the room. The rooms have been painted in pretty wallpapers and some awe-inspiring textures and patterns. The windows used in the room are covered with thick and long curtains. The additional facilities provided by the hotel are free Wi-Fi, a common kitchen, parking provisions, a common seating area, an in-house restaurant, wheelchair accessibility, and a bar. The facilities provided in the rooms make the hotel very popular, and the overall stay experience is unforgettable. 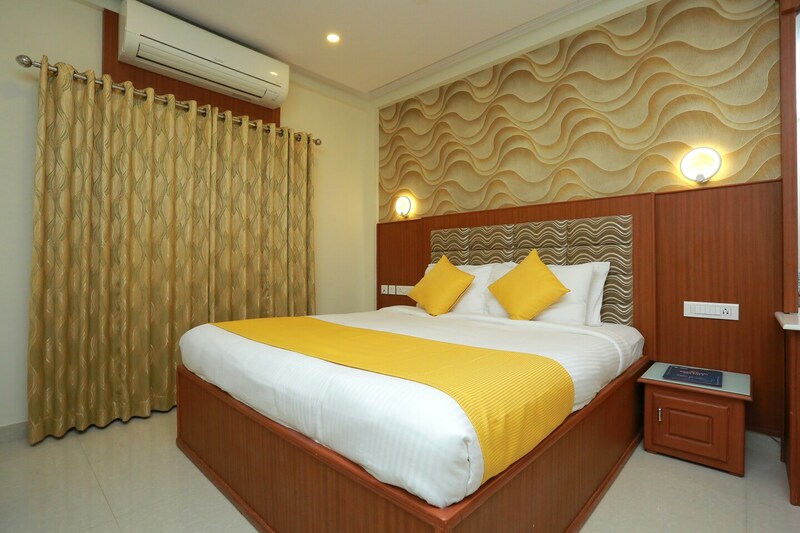 The hotel is surrounded by a number of facilities such as Daya General Hospital and Speciality Surgical Centre, Girja Cinema 2K 3D, Thrissur Zoo and Museum, HDFC Bank, Manalarkavu Devi Temple, and Viyyur Siva Temple.